Cost: Free to all active duty and retirees – includes breakfast. Emergency incident with several operational challenges including; gaining situational awareness, establishing priorities, and maintaining standard operating guidelines. Addressing trends and challenges in your command that require more than just knowledge of policy but how you actually influence your command and implement the core values of the LAFD. 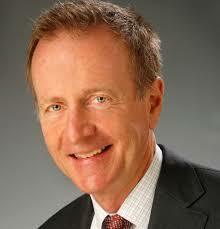 Austin Beutner is an American businessman, civic leader and philanthropist. He co-founded Evercore Partners and is the former publisher and CEO of the Los Angeles Times and the San Diego Union-Tribune. In 2011 he was appointed as First Deputy Mayor and Chief Executive of Economic and Business Policy for the City of Los Angeles for a salary of $1/year where he oversaw economic development activities for the City of Los Angeles and many of its departments, including the top three critical infrastructures, the Port of Los Angeles, Los Angeles International Airport and the Department of Water and Power. A graduate of Dartmouth College, Mr. Beutner has served as a Senior Lecturer at the UCLA Anderson School of Management, USC Marshal School of Business and the Harvard Business School where he teaches Relational Coordination, Leadership, and Corporate Accountability. Austin lives in Los Angeles with his family and has always been a strong supporter of firefighters.